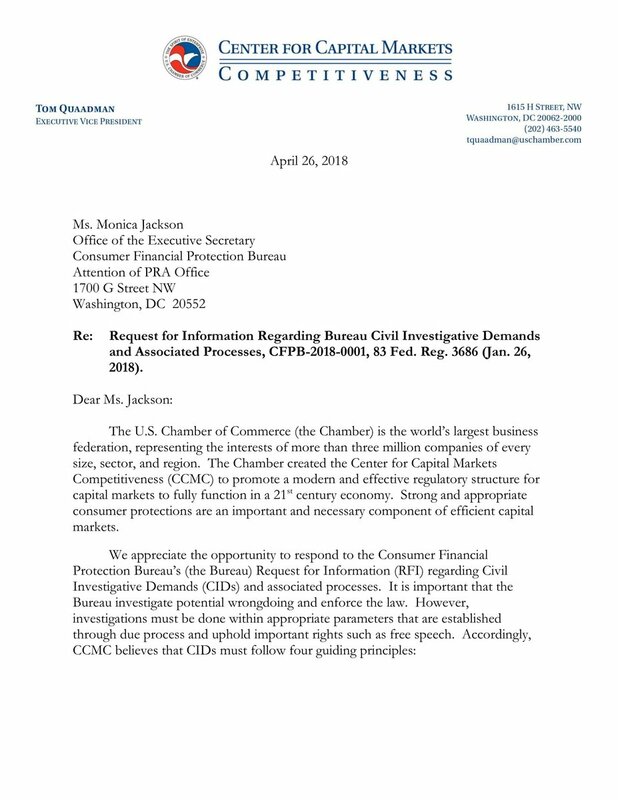 As president and CEO of CCMC, Hirschmann leads the U.S. Chamber’s initiative dedicated to promoting a modern and effective regulatory structure that fosters robust and diverse sources of capital, investment, liquidity, and risk management for the business community. This effort addresses securities regulation, corporate governance, and financial reporting issues as well as communicates the value the finical services industry plays in driving economic growth. Before joining the Chamber, he was legislative director for the then-chairman of the International Economic Policy and Trade Subcommittee in the House of Representatives. Hirschmann was raised in Guatemala and is a graduate of Duke University. He lives in Alexandria, Virginia, with his wife, Susan, and their daughter.